We strive to improve the nation’s healthcare infrastructure, one hospital at a time. A healthcare system and management services organization whose vision focuses on the ways in which healthcare should be managed in its current climate of reform. Through its commitment to integrity and innovation, Alecto's mission is to improve upon the nation’s healthcare infrastructure, one hospital at a time. Alecto recognizes that each hospital often presents a unique set of challenges, but the solutions always involve a strong commitment to the hospital’s employees, the physicians in the community, and the patients who seek care from the hospital. Alecto takes great pride in its commitment not only to the hospitals, but also the communities in which they exist. Alecto has assembled an experienced and well-respected management team that has already dealt with almost every issue that a hospital may face in its day to day operations. This experience allows Alecto to develop and implement solutions without delay and develop new and creative solutions to problems facing a hospital. Through its Chief Medical Officer and other members of its leadership team, Alecto has developed strong medical management and quality protocols which will improve the quality of care provided as well as deliver the care in a cost-effective manner which is essential to the success of any hospital. As a new organization, Alecto has the ability to bring creative solutions to problems and to be flexible in its approach to transactions and issues. Alecto believes that this creativity and flexibility sets it apart from others. Through their years of experience in healthcare, Alecto’s management team has developed relationships with senior executives at other healthcare systems and medical groups which will allow Alecto to develop affiliations where appropriate to improve access to care and ensure the success of its hospitals. Alecto has already assembled a team of talented and seasoned executives who are committed to operational excellence and the delivery of high quality care to all members of the community. Alecto’s leadership team will bring operational excellence to hospitals and work with the staff at each hospital to maintain operational excellence and identify and develop future leaders who share the same commitment to excellence. 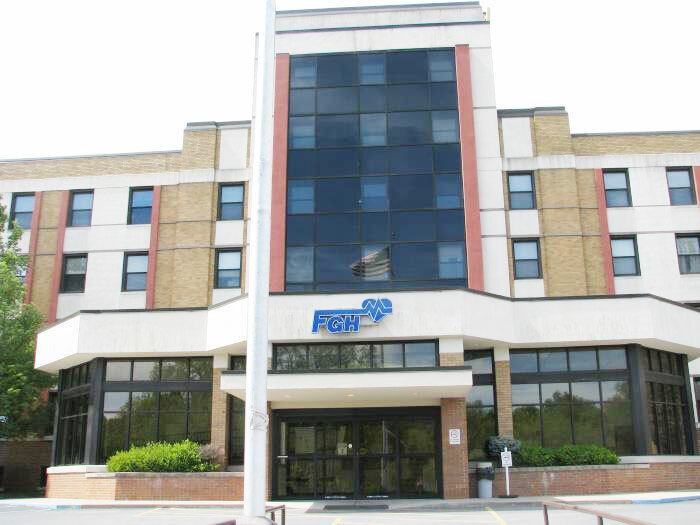 Fairmont Regional Medical Center (formerly known as Fairmont General Hospital and Cook Hospital) is a 207 bed for-profit hospital in Fairmont, West Virginia that has served Marion County for over 100 years. Following years of financial uncertainty, the Board of Directors voted in December 2011 to search for a strategic partner and subsequently filed Chapter 11 Bankruptcy in September 2013. Alecto Health Services Fairmont, LLC was the only successful bidder in the purchase of Fairmont General Hospital on June 12, 2014. On September 19, 2014, Fairmont General Hospital became Fairmont Regional Medical Center. FRMC has a staff of over 700 physicians, nurses and personnel trained in not only providing exceptional medical services, but quality, compassionate care. Fairmont Regional Medical Center’s commitment to clinical and operational excellence has been recognized for four consecutive years with the top honor awarded by The Joint Commission as a “Top Performer on Key Quality Measurers.” FRMC is the only hospital in West Virginia that has received this prestigious award for four consecutive years. Updated medical equipment for the Laboratory, Radiology, Telemetry, Inpatient Psychiatry departments, and in the Vascular Laboratory. Continued rebranding of FGH to FRMC. Reorganization of Fairmont General Hospital Foundation to The Regional Healthcare Foundation. 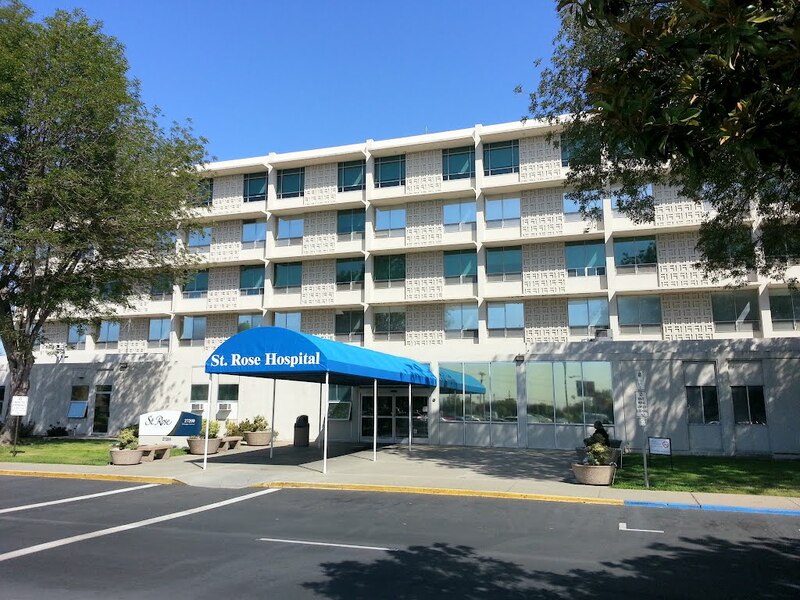 St. Rose Hospital is a 217 bed non-profit acute care hospital in Hayward, California that has served the needs of the community for more than 50 years. 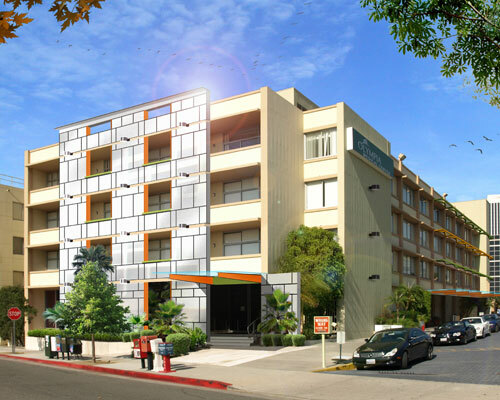 St. Rose Hospital serves as a safety net hospital as its payer mix includes a large volume of uncompensated care to uninsured and low-income members of the community and Medi-Cal beneficiaries. In 2011, care provided to Medi-Cal beneficiaries and uncompensated care represented 44 percent of St. Rose’s patient volumes. Faced with more than $40 Million in debt insured by the State of California (Cal-Mortgage Loan Insurance Division of the Office of Statewide Health Planning & Development), losses exceeding $30 Million in 2011, and an uncertain future, St. Rose’s Board of Directors decided to explore various options so that St. Rose could continue to serve as a much needed safety-net hospital for years to come. These options included affiliations with other local healthcare districts. In September 2012, St. Rose’s Board of Directors considered proposals from several interested parties and ultimately selected Alecto as the successful bidder to acquire St. Rose. Since October 2012, Alecto has worked closely with St. Rose’s Board of Directors, St. Rose’s medical staff, St. Rose’s employees, elected officials and community leaders as well as Cal-Mortgage to improve St. Rose’s operations and stabilize its financial condition. The development of positive working relationships between St. Rose and local hospitals, elected officials, and community leaders. On January 29, 2013, the Attorney General approved Alecto’s Management Services Agreement and Asset Purchase Agreement. Staffed by more than 600 physicians, representing over 40 specialties, Olympia Medical Center meets the healthcare needs of its communities through continuous program enhancement and service excellence. "Our community is at the heart of everything we do at Olympia Medical Center," says John A. Calderone, Chief Executive Officer. "From the services we offer to the staff we hire, our decisions are made to benefit the health and well-being of the people we serve." WNJ is a designated Level III Trauma Center, which means we are recognized by the State of Texas as having met the highest standards for treatment, staff and facilities. WNJ is a Level II Primary Stroke Center accredited by The Joint Commission and has received the American Heart & Stroke Associations Get with the Guidelines™ Gold Plus Award for stroke care. This means patients experiencing stroke symptoms receive swift, effective and often life-saving treatment. Sherman, TX — Alecto Healthcare Services announced today that it has entered into a definitive agreement to acquire Texas Health Presbyterian Hospital-WNJ. 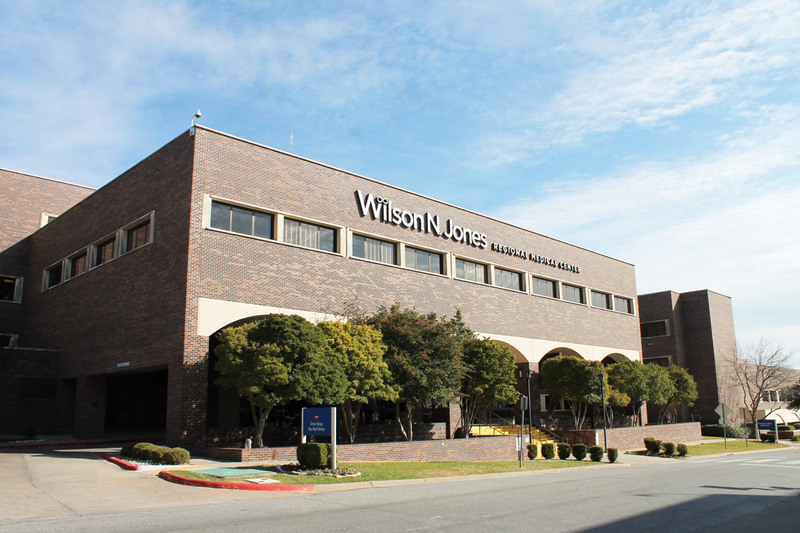 Upon closing, which is anticipated to occur on October 31, 2014, Alecto will own and operate the 237-bed hospital, which will be renamed Wilson N. Jones Regional. 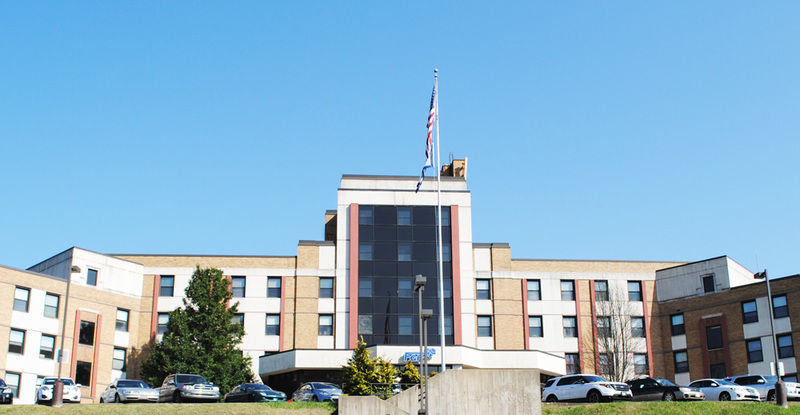 FAIRMONT — Alecto Health Services Fairmont, LLC was the only successful bidder for the purchase of Fairmont General Hospital, with a bid of $15,300,000. Bids were due by noon today, Thursday June 12. A sale hearing will be held June 23 at 10 a.m. in Wheeling at the U.S. Bankruptcy Court for the Northern District of West Virginia. The sale hearing could be delayed if any objections to the sale are submitted to the court. Any such objections would be due by June 19 at 5 p.m. In order to accomplish its mission, Alecto has assembled an experienced and well-respected leadership team that has deep roots in Southern California and unmatched experience managing hospitals. Lex has served as Alecto’s Chief Executive Officer since its inception. Prior to forming Alecto, Lex served as the President and Chief Executive Officer of one of the largest health systems in the country and was responsible for its growth from a one hospital system to a 15 hospital system that was recognized as a Top 10 Health System in the Nation by Thomson Reuters. Lex has more than 25 years of experience in hospital management and has particular experience in saving distressed hospitals. Roger has served as Alecto’s Chief Financial Officer since its inception. Prior to joining Alecto, Roger served in senior leadership roles at a variety of health systems, hospitals, and providers including more than 9 years as the Chief Financial Officer of one of the largest health systems in the country with more than $1.5 Billion in Net Revenue. Roger has more than 30 years of hospital finance experience. Dr. Jeyakumar is a board certified pulmonologist and critical care specialist who has practiced critical care medicine for more than 30 years. Prior to joining Alecto, Dr. Jeyakumar maintained an active practice and served as the medical director for several large medical groups, IPAs, and hospitals. Dr. Jeyakumar also serves on the faculty at UCI Medical School. Mike has served as Alecto’s Chief Legal Officer since January 2013. Prior to joining Alecto, Mike served as Senior Vice-President and General Counsel of one of the largest health systems in the nation where he was responsible for all legal matters including the acquisition of 18 hospitals across the United States. Mike has been a member of the California Bar since 1996 and has more than 15 years of healthcare experience. Matt joined Alecto in December 2012. Prior to joining Alecto, Matt served as the Chief Financial Officer and Controller at several large hospitals in Southern California. Matt has developed an expertise in patient financial services and plays a key role in Alecto in improving patient revenue. Matt has more than 19 years of healthcare experience. Aman joined Alecto in January 2013. Prior to joining Alecto, Aman directed capital purchases and leasing for a large health system and was responsible for more than $150 million in transactions. In this role, Aman played a key leadership role in the successful opening of a new open heart surgery program and 65 bed expansion at a Southern California hospital. Aman has more than 7 years of healthcare experience. Sylvia joined Alecto in January 2013. Prior to joining Alecto, Sylvia served as the Chief Nursing Officer and Administrator of one of the busiest hospitals in Los Angeles County. Under her leadership, the hospital increased emergency department efficiencies and improved the quality of care being provided as evidenced by its ranking as a Top 100 Hospital in the Nation. Sylvia is a registered nurse with more than 30 years of healthcare experience including more than 15 years in senior management positions. Marie joined Alecto in December 2012. Prior to joining Alecto, Marie was responsible for the performance improvement and risk management activities at several large hospitals and played a key role in several hospitals being recognized as Top 100 Hospitals in the Nation. Marie is a licensed respiratory therapist and has more than 28 years of healthcare experience. Lea Ann joined Alecto in December 2012. Prior to joining Alecto, Lea Ann oversaw medical staff services at both a hospital and system level including a large medical staff at a 400+ bed hospital in Los Angeles. Lea Ann has more than 20 years of healthcare experience. Gigi Douglass, BSMT (CLS) is responsible for the Alecto Healthcare Services clinical laboratories and respiratory services. Prior to her joining Alecto 2013 she was the Director of Laboratory Services at Hollywood Presbyterian Hospital where during her tenure the hospital obtained the Gold Standard Seal of Approval from CAP. Before that she held the position of Corporate Director of Clinical Laboratories at a large healthcare system where she oversaw as many as 13 clinical laboratories and respiratory services at one time. Gigi is also an inspector of clinical laboratories with HFAP. She is a licensed CLS and has thirty years of experience in the clinical laboratory. Copyright © - Alecto Healthcare Services.